It was first established as a company limited by guarantee in 1994, and its first named Director was Derek Draper, then employed as a Researcher by Peter Mandelson. Although Progress does appear to have a membership structure (although it publishes no details of its membership or affiliates) and holds an annual conference, it is in fact controlled by the members and directors of this company. It has never released its register of guarantor members, nor its memorandum and articles of association, nor details of its corporate structure. As a ‘members association’, it is required to submit a report of all donations over £7,500 to the Electoral Commission, but it has no obligation to report its annual accounts and total income or expenditure. The report notes that “its status as a membership organisation is curious” because, although the Electoral Commission might recognise the wider membership, in company law and Progress practice, membership is defined very narrowly. 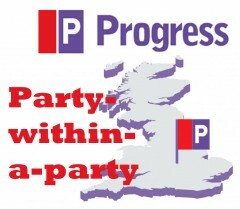 Progress announced in January that former Blairite Advisor and Minister, Lord Adonis (also a former Lib Dem councillor and PPC) was replacing Stephen Twigg as Progress Chair. It never explained who made this decision. The only known member of the Advisory Board is former Minister and anti-Brownite plotter Alan Milburn – coincidentally also a member of the advisory board to Pepsi-Co and Bridgepoint Capital, a provider of venture capital to a number of private healthcare providers. He has come a long way since being the Trotskyist employee of Newcastle’s Radical bookshop, Days of Hope (aka Haze of Dope). Progress underwent a transition from loyalty to the leader to providing a platform for supporters of ‘New Labour‘ against the new leader. Endorsing David Miliband for the party leadership and Oona King for London May, and running a slate of candidates for internal elections to the executive and national policy forum. Engaged in the training of parliamentary candidates. Pursuing changes in party structure including to party conference and the relationship with the trade unions, and for primaries in parliamentary selections. Arguing for the continuity of New Labour, including in editorials such as “New Labour is Right for Labour” and the Purple Book. Donations from the second largest donor, Lord Michael Montague, totalling £875,500, were made at least two years after his death and through a trust whose objectives and trustees are unknown. It is therefore unclear who actually decided to provide this funding. Pharmacia and Pfizer, were merging at the time of the donation of £52,287, and were also at that time engaging in criminal activity which led to the largest criminal fine in US history ($1.3bn). Progress has raised more money than the Green Party, Scottish Labour or Plaid Cymru. It has raised significantly more than any members’ association in the Tory or Lib Dem parties and 122 times more than the next highest in Labour! The financial reporting requirements upon Progress as a company are limited and, as such, it is impossible to assess its funding streams. Nonetheless, there is an organisation with the funding and staffing of a minor political party operating inside the Labour Party…. What is the reason for any organisation operating within the Labour Party conduscting its own external fundraising operations out of view of the Party. The logical response must be that it is in the interests of the Labour Party to ensure that all members’ associations operating within the Labour Party meet the highest standards of probity. The Party needs to recognise the existence of members associations within it, and place constitutional requirements upon them in matters of fundraising and governance. Further, given the current financial circumstances of the party, what is the justification for an internal organisation raising such significant funds for itself? provide the democratic mandate for its factional activities in promoting candidates, candidates and policies. It further recommends that Labour’s national executive amend party rules to “place constitutional requirements upon Members’ associations in matters of fundraising, governance and discipline” and limit the extent of fundraising by such organisations, with excess sums to be donated to the central party. The report can be downloaded from here (Zip file, 3.5MB). You could download that from the Companies House website. What a welcome development! Those who put the time and enormous effort into researching and writing this report deserve huge appreciation. Tony Blair is reported as saying that the divide in politics was between those that believed in the ‘markets’ and those who saw a role for the ‘benign state’. These are two irreconcilable ideologies, and is the root of concern with Progress as a ‘party within a party’. Progress/New Labour advocate ‘market solutions’, whereas the Labour-supporting electorate and democratic socialist activists overwhelmingly want ‘democratic ownership’, regulation of the ‘markets, and a state that promotes and protects its citizens. Clearly, the funding of Progress reflects a commonality of purpose between the interests of the organisation and its big business supporting donors. Ahhhh the sweet irony of leftists complaining about a ‘party within a party’. The entire reason progress is so succesful in attracting donations is because its policies are attractive both electorally and to those with money. In contrast with red eds dire policies and performance. Sweet irony: Attractive mainly to two rich men. One of whom had been dead for two years. This article forgot to include the time and location of the show trial. Great article. This situation needs sorting out and quickly as soon we will have an election to win. I doubt anything “progress” has to offer will hep us some how! Progress/New Labour was a reaction to the fact that socialism bankrupted every country that ever tried it. Electorates had noticed that Labour always ran out of other people’s money so New Labour was mainly a re-branding exercise. In that respect it’s no different to socialists (didn’t want the association with Karl Marx), democratic socialists (didn’t want the association with the USSR) etc. Basically each generation of lefty academics and politicians reacts put a different set of names to what they do after the previous lot were discredited. I don’t see why people here seem so vexatious about New Labour. They reverted to type when Gordon Brown abandoned Tory spending plans in 2001 and started spunking money up the wall. New hospitals, school buildings, aircraft carriers, Trident, foreign wars, loadsa public sector jobs and payrises to boot. All this massive government expenditure is about the only thing you lefties seem to agree on. You got it. Unfortunately, just as those who had “seen the future and it works” were wrong, Gordon Brown was spectacularly wrong about abolishing boom and bust. I don’t see your point? So is compass a ‘party within a party’? Is it only the looney left who are allowed representation in group form? All I’m seeing in this article is raw, sour-grapes. do we have an copy of the dossier in pdf or word anywhere on the net? anna lacasia: the report can be downloaded from here (Zip file, 3.5MB). I’ve created a PDF of this which is significantly smaller than the zip. If anybody wants it tweet me @johng1959 with your email address. Perhaps you are a Tory and/or perhaps you are a simple troll. Although I hsdn’t seen this report when i drafted it, I am pleased that the motion my GMB branch has submitted for this years Congress is fully in line with it. Should be a good debate. In their response Progress report that they accepted money from Unions 21. Therefore Progress can have no principled objection to another political tendency with impeccable socialist credentials and a much longer relationship with the organised labour movement to join them in the fraternal contest to shape the direction of Labour’s policies and influence the selection of candidates. It is time for the Communist Party to be reaffiliated to the Labour Party. How different the post-war history of Labour would have been if the AEU had won rather than narrowly lose their reaffiliation motion to the Labour conference of 1948.